From: Christmas gift from my sister K.
Bureau agent Harris Stuyvesant travels to London in 1926 to investigate a suspected British bomber who has been behind several explosions in the States. A shady government official connects him to a WWI veteran, Bennet Grey, who has the ability to sense when someone is deliberately lying. With Grey’s assistance, Stuyvesant goes undercover among one of England’s elite families. The historical backdrop to this novel is fairly unique. It is the interwar years in England, and tensions are high in London due to an impending miner’s strike. The labor unions and the ruling class are at each other’s throats. I appreciated that this was a time period in history that isn’t usually covered in fiction. “The house” is the Hurleigh House, the great estate where Stuyvesant begins his undercover investigation. It is clear that King loves describing great English country houses – this was demonstrated also in Justice Hall, one of her Mary Russell/ Sherlock Holmes books. Hurleigh House has some great character to it though, so I didn’t mind the long descriptions too much. Both K. and I agreed that we weren’t sure we liked Harris Stuyvesant at first. K. said she was particularly perturbed by this because she had liked Mary Russell right away in The Beekeeper’s Apprentice. But Stuyvesant comes into his own as a character when he goes undercover. King does a good job of writing smart characters. I love getting into their heads as they figure out individuals and group dynamics. Stuyvesant understands how to win over people, how to strategically play a part to get people to respond a certain way. He does make mistakes, but it’s still cool to read the intelligence at work. The ending was not entirely predictable and for that I was glad. Some of the characters are revealed to be different from how Stuyvesant had pegged them. The book could certainly have been edited down, in my opinion. There’s an interesting story there, but it is suffocated in places by too much exposition of the history or the setting. If you’ve never read Laurie King before, you should start with The Beekeeper’s Apprentice, which is one of my all-time favorite books, with one of my favorite literary characters, Mary Russell. 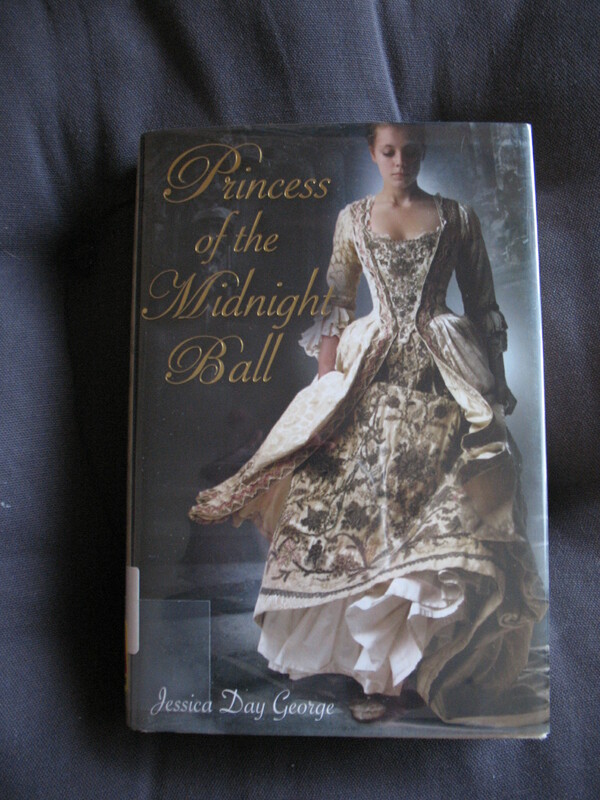 Soon after I started reading this book, I stopped a moment and read “The Shoes That Were Danced to Pieces.” In the fairy tale, the princesses wear out their shoes every night and it’s a mystery how they do this. So, the king issues an open call for princes to figure it out in three days, the reward being the throne by marriage to the princess. If they don’t, they are killed by the king. The princesses in the fairy tale appear to like dancing at this mysterious ball, and don’t want their fun being spoiled by any of the princes. A soldier eventually succeeds in solving the mystery and marries the eldest princess. In Jessica Day George’s book, the princesses are cursed by a pact their mother made, to dance every evening at the ball of an underworld king. Due to the underworld magic, they are unable to speak of their curse to anyone. The king does seek the help of other princes, but they are killed by the underworld king’s magic, not by the king himself. 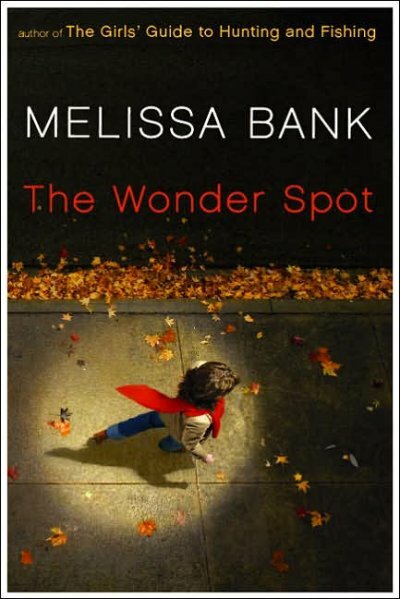 So the book’s retelling of the story makes a whole lot more people sympathetic. Jessica Day George also supplies the story with some light historical context. The kingdom of the princesses is Westfalin (similar to the historical region of Westphalia in Germany) and terms of address include “Herr” and “Frau”. The Catholic Church plays a role too, as the witchcraft comes to the attention of an archbishop. I liked Jessica Day George’s descriptions of the sisters, such as how they describe the last three sisters “the younger set.” Some of the twelve were little more than a type: the religious one, the one who plays piano, the vain one. But I particularly liked Poppy, the rebel, who retains a sense of humor throughout the princesses’ ordeal. Rose is the sister that is the main character, but Poppy was actually more interesting and I wish she had a bigger part, or even got her own book. The hero, Galen, distinguishes himself as a man who knits, because as a soldier, you had to learn to make your own socks and clothing. This skill plays an integral part in the story, fabric being a thing that can contain magical properties. 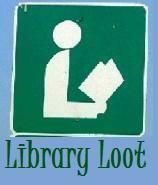 I checked out three books from the library this time, so now I have ten checked out total. I can get away with this amount because my public library allows you to renew twice as long as no one else has a hold on it. So I usually can have a book out for four weeks. – This is by the same author of Eifelheim, one of my favorite reads of last year, so I’m very excited to read this one. 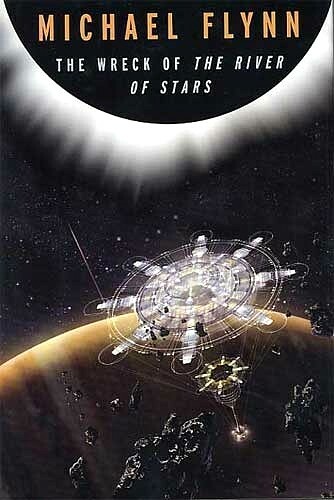 The River of Stars is the name of a doomed spaceship, thus the very sci-fi appearance of the cover. 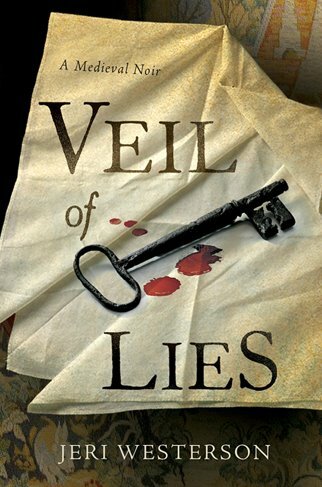 – I saw the sequel to Veil of Lies in the New Mysteries section. It sounded interesting, but I like to start at the beginning so I trotted back into the stacks to see if the first book was there. I was in luck! Stories set in medieval times tend to attract my interest and I like a good noir. – My library has a display that is sometimes thematic but usually just whatever the librarians feel like putting up there. I remembered reading a good review of this book. 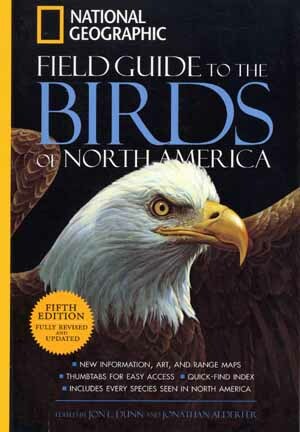 I’d seen the cover picture as a thumbnail image reviews, but never in person: I had thought that the image on the cover was a bird but it’s actually an aerial shot of a young woman walking in a red scarf. I bought this one long ago for my introductory English course when I was a freshman in college. I confess that I’ve never much cared for reading Shakespeare, or any play for that matter. My best experience of Shakespeare was watching a performance of “The Taming of the Shrew” in Stratford-upon-Avon. 2. 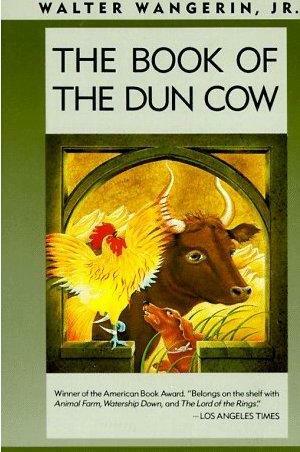 The Book of the Dun Cow by Walter Wangerin Jr. I read this book in high school and liked it, eventually buying a copy at a used-book sale but not reading it again. I hardly remember anything about it now, but I am planning to re-read it this year as part of the Flashback Challenge. Another book that I bought for a special topics course in college that focused only on the authors Faulkner and Flannery O’Connor. I loved Faulkner’s style of writing even if some stuff went over my head. Sanctuary was the least dense of the Faulkner books that I read. I had to buy this one for a field biology course, which was the best science general education course I could have picked. We got to tromp around outside, learning to identify birds, bird calls, trees and plants. Have I used the book since? Actually, no I don’t think I have. But I like to have it around as reference, just in case. The Redwall series by Brian Jacques were childhood favorites of mine. Traditionally, the ferrets, rats, weasels, etc were evil in the Redwall universe. 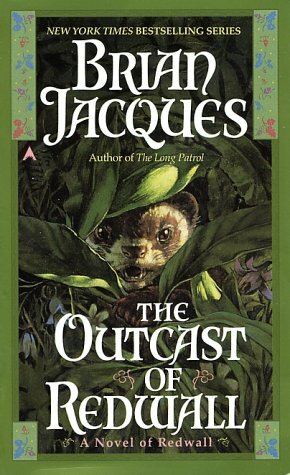 I remember being excited to read Outcast of Redwall as the main character would be a ferret and that promised something different. Unfortunately, this book would only serve to underscore the determinism of the Redwall universe. The mouse who raises the ferret from birth says in the end “Veil was bad . . . I know that now. Some creatures cannot help being the way they are.” I was furious at the ending of the book and it caused my subsequent disenchantment with the series. As an adult, I’m still fond of the series and own seven of them still, but I should probably donate Outcast because of my strong feelings against it. This book was given to me by my sister, because she knew I liked the movie which stars a young Jena Malone. I can’t remember now how the book and movie compare, but I believe the book is a little darker. 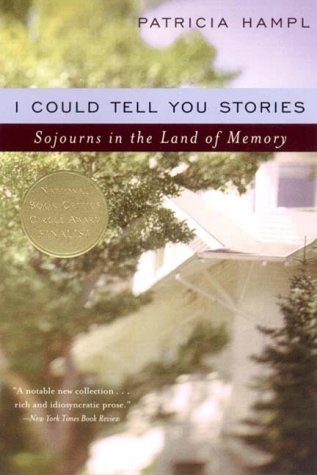 For my senior honors project in college, I explored autobiography, memoir and the concept “everyone has a story.” I bought this book at the beginning of my exploration. It didn’t get used for my paper in the end, but I remember liking it. Finally, a more recent purchase! I first read this book as a library copy and then bought my own copy last year at a library used book sale. Despite the generic title, this is really a great read. I got to see de los Santos speak at one of the annual National Book Festivals in D.C. and she was funny and personable. All I can say about these two is why do I still have them around? Both are books that I needed in college (the second is a French exercise book). I don’t need them anymore. In conclusion, what this random selection says about me is that a lot of my collection is still populated by books purchased when I was an undergraduate. I graduated almost six years ago! 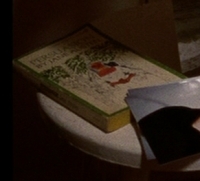 Every now and then, I thought it’d be interesting to write a post on books featured in films. I did this once before with the film Next Stop Wonderland (starring Hope Davis). Pardon me for picking another relatively unknown film, but books feature so prominently in Whit Stillman’s Metropolitan that I couldn’t resist. Metropolitan follows a group of young privileged New Yorkers, about the age of college freshmen, as they progress through the debutante season, with particular focus on the after-parties held into the early morning hours. Giving us an outsider perspective on this kind of life, is a ‘West Sider’ named Tom who reluctantly lets himself get adopted by this group. There’s a real chemistry within the ensemble that make me feel fond of the characters even when they display unlikable behavior. The dialogue has a wit and vocabulary to die for – it reminds me of dialogue in Austen or Dickens – where it’s not really the way that people do talk, but I kind of wish it was. At this point in the conversation, Tom admits without shame that he actually hasn’t read Mansfield Park. “You don’t have to read a book to have an opinion on it,” he claims. Furthermore, he tells Audrey that he doesn’t read novels at all, just literary criticism. The film intends for him to sound ridiculous and he is. He tells Audrey that he is surprised by how much he is liking it. 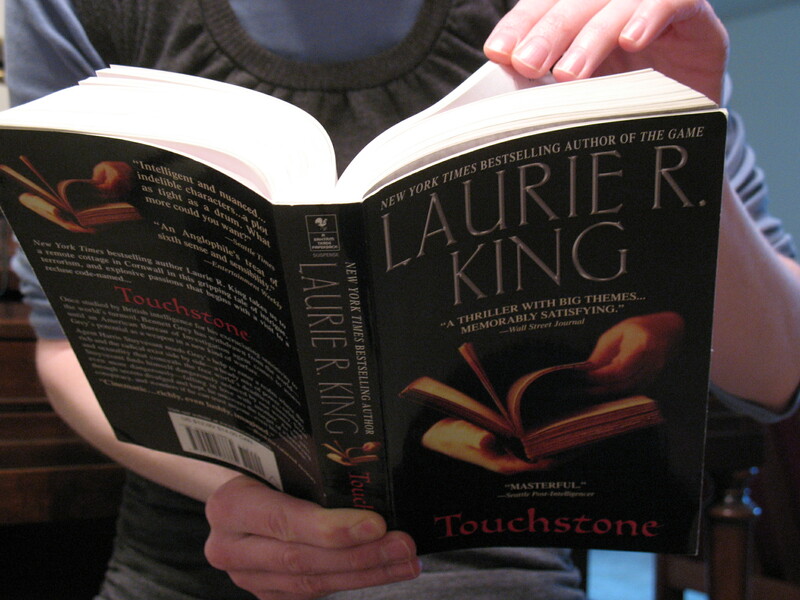 The book follows a small group of characters over the course of one night. 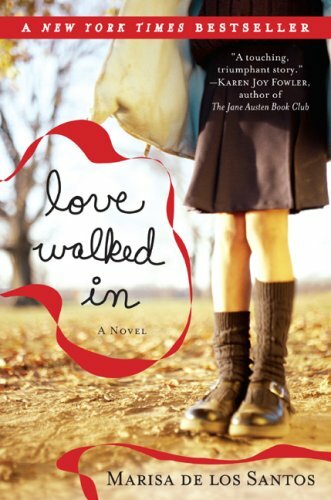 19-year-old Mari reads by herself in an all-night diner and meets an acquaintance from the past. This chance meeting indirectly draws Mari into the aftermath of a violent attack on a Chinese prostitute. Meanwhile, Mari’s sister Eri deeply sleeps where an unplugged tv ominously flickers. 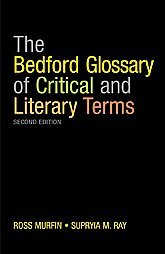 I was intrigued about this book when I read a review of it in the blog, Book Dilettante. I like movies where events happen over the course of one night, so I liked the idea of After Dark: surreal encounters that occur while most are asleep. Also, I wanted to read a book by Haruki Murakami. 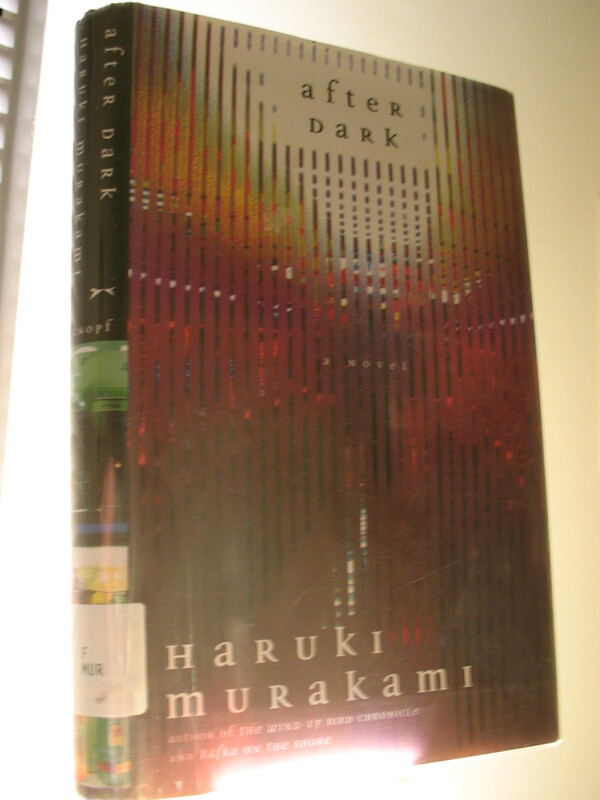 I know that The Wind-Up Bird Chronicle and Kafka on the Shore are more known and liked, but After Dark was the one on the shelf at the library. I liked the weird aspects of the small book, such as the strangeness that surrounds Eri’s sleep. Or how a turn in the plot finds an abandoned cell phone ringing in a store, where anyone who picks it up hears threats on their life. I was disappointed in the book overall, though. I wasn’t expecting a grand story, but for a book that is the equivalent of an all-nighter, I was hoping to feel a more coherent mood and atmosphere. I got that in spots, but not as the whole. Mostly, though, I didn’t care for the writing style. I’m thinking a large part of this could be a translation issue. The dialogue didn’t feel natural and came off very flat, almost as if the wrong English words were chosen in the effort to approximate casual talk. There were ‘gonna’s’ and “whaddya mean’ and stuff like that. And so, so, many ‘uh-huh’s’. As I’ve watched some Japanese films, I’m guessing that the ‘uh-huh’ is a translation of the Japanese quick assenting “hai”. I’d rather the ‘hai’ have been kept, really. I don’t think that uh-huh’s even accurately capture the English noise of assent. A different type of stylistic choice that I didn’t care for was the ‘we’ perspective held throughout the book. ‘We’ are the swooping camera observing these characters, particularly with Eri’s scenes, which makes some sense as that character is a model. But I found this perspective to be artificial and cumbersome, rather than thought-provoking. I’m not going to take this book as an indicator of my future reaction to Murakami and it won’t keep me from trying another book of his. If you have read Murakami, recommendations are welcome. Also, has anyone read a translated book and suspected that the translation was inadequate? I’d be interested to hear if others have experienced this. At first glance, she seemed merely to be gesturing the children to her, but an attentive viewer could not miss the resemblance between woman and weapon: thin, taut, and razor-sharp.